Members of the Temple/St. Luke’s School of Medicine Class of 2018 pose for a photograph with faculty shortly after graduation on Monday, May 14 at the Kimmel Center in Philadelphia. Bethlehem, PA (5/14/2018) – During the four years of medical school training, students can either study, sleep or have a social life, but never all three, jokes Joel Rosenfeld, MD, M.Ed, FACS, Chief Academic Officer, St. Luke’s University Health Network, and Senior Associate Dean, Lewis Katz School of Medicine (LKSOM) at Temple University. After four years of intense study and clinical experience, twenty nine Temple/St. 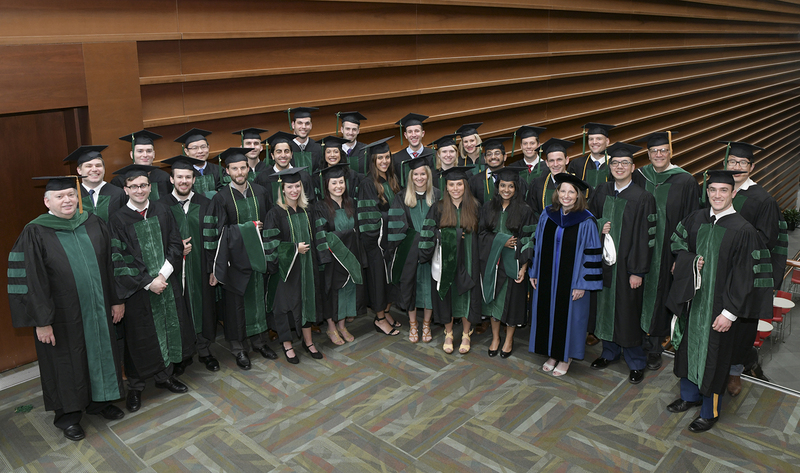 Luke’s medical students graduated on May 14, 2018 at the Kimmel Center in Philadelphia. At an award ceremony for 200 graduates of the Lewis Katz School of Medicine at Temple University, St. Luke’s students received top honors. Jonathan Hunt won The J. Robert Willson Research Award – awarded in memory of J. Robert Willson, M.D., Professor and Chair of the Department of Obstetrics and Gynecology from 1947 to 1963. The recipient of this award exemplifies outstanding critical and analytic thinking, strong interest in research, and great promise for pursuing a career in the reproductive sciences. Jonathan was also honored with The School of Medicine Service Award – awarded to a member of the graduating class who, through leadership and service, has made outstanding contributions to the life of the medical school. David Strauss of Orefield took home the A. Richard Kendell Award for Excellence in Urology – established by A. Richard Kendell, M.D. ’56, this award recognizes outstanding aptitude and interest in the field of Urology. James Anasti, MD, Director of Student Activities for Temple/St. 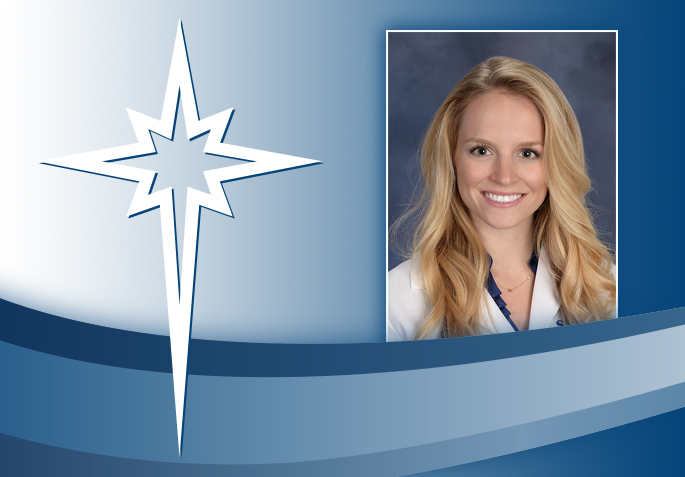 Luke’s and Clinical Professor OB/GYN for LKSOM, was recognized with the Drs. Henry P. and M. Page Laughlin Award for excellence in clinical teaching, as selected by Temple/St. Luke’s students. Four Temple/St. Luke’s graduates were inducted into the Alpha Omega Alpha Honor Medical Society and five students were inducted in the Gold Humanism Honor Society. On March 16, fourth year medical students all over the country “matched” their residency applications with prospective health institutions to determine residency training programs, the next step after graduating from medical school. “National Match Day is truly a milestone for every medical student across the country. This is the day when medical residency programs match with their highest-ranked medical students, and fourth year medical students learn where they will continue their professional development,” explained Dr. Rosenfeld. Six students will continue their medical education in St. Luke’s Graduate Medical Education programs, according to Dr. Rosenfeld. Data demonstrates that 50 percent of physicians will practice medicine within 100 miles of where they attend medical school and complete residencies. 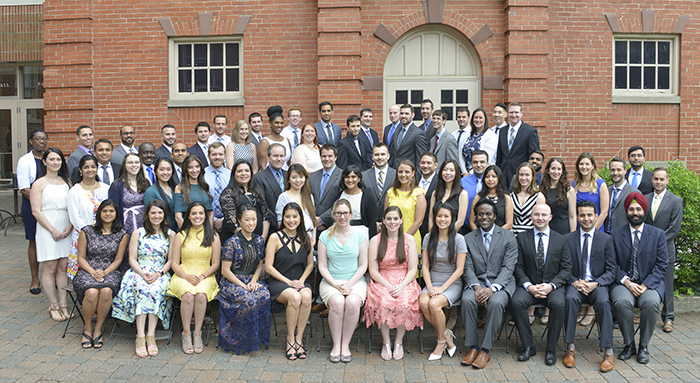 Congratulations to St. Luke’s 2017 Graduating Residents and Fellows!